Here you will find software that will enable the functionality and toolchain for your CNC machine. I will be providing various software solutions including: the direct interface from the computer to the machine, and CAM applications that is used to create the path that the cutting tool will need. This is software that actually controls the machine which takes g-code that is created form the CAM software and moves the machine accordingly. Order Mach3 Here: The CNC world's most reliable motion control software. Licenses emailed directly to your inbox. Authorized Mach3 Distributor. 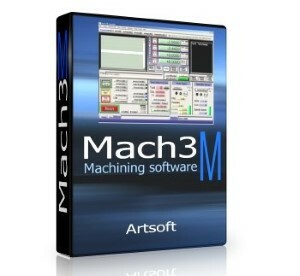 This is the newest software offered by the makers of Mach3. Mach4 will have more features and an entirely new interface. Mach4 will also run on most Windows operating systems. You will be able to run a single license on up to 5 machines simultaneously. Our USB Interface Boards use this software to control the CNC Machine. The Planet-CNC software has a broad range of features including the ability to control various configurations, up to 6 axes, a large viewing area, easy jogging and a nice g-code viewer all on the main screen. The g-code is generated with this software. If the word g-code scares you, don't worry, this software allows you to visually create machining operations (where the machine will move and cut, carve or shape the material). The software will automatically generate the g-code which is processed by the above control software to move the machine. What you can create with ArtCAM is really impressive. With an incredibley easy user interface, and features that include: 2D and 3D design using reliefs, engraving, sign making, and much more. I would highly recommend this software if you are new to machining and need to get going fast, with the Express software. ArtCAM also has more advanced modules and software that will scale to your needs. Step 34 - Software Toolchain Part 1 - Mach 3 Installation Now we come to the software section of this tutorial series. What's a software toolchain anyhow? Well, my fine feathered machinist... A software toolchain is a "chain" of software that enables the completion of an entire process from design to implementation. When I say chain, I mean a few programs. Read more. Step 36 - Software Toolchain Part 3 - The toolchain concept At this point, you should have the control software that is described in Software Part 1 and Software Part 2. Software part 1 shows the process to install Mach3 and Software Part 2 shows the process to install a Linux control software application called EMC2. If you're still unsure what I'm talking about, then here is my detailed explanation of the entire workflow. Later posts will go into greater detail and tutorial on each program. Read more. Step 35: Software Toolchain: EMC2 Under Linux Before I get farther in the software toolchain for the Windows operating system, I will cover the primary software for Linux. 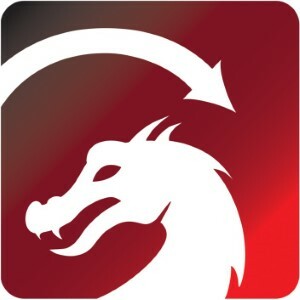 If you are partial to Linux, or you think Linux is some kind of animal and don't know what the heck I'm talking about, this alternative software toolchain may interest you. This tutorial would not be complete without covering the open source side of CNC computer controls. You may find that using EMC2 (the CNC control that runs under Linux) may be a bit more problematic than Mach3 since there is limited CAD (design software) out there for the Linux operating system. Yes... I said, operating system. I you don't know already, Linux is an operating system about as old as the Windows operating system. Read more. Step 34 - Software Toolchain Part 1 - Mach 3 Installation This tutorial is dated, if you are considering a CNC for your personal use, we would highly recommend purchasing a kit that is very stable from our wide range of machines available. Now we come to the software section of this tutorial series. What's a software toolchain anyhow? Well, my fine feathered machinist... A software toolchain is a "chain" of software that enables the completion of an entire process from design to implementation. When I say chain, I mean a few programs. Read more.